A massive thank you to all who entered the Candy Perfume Boy/Persolaise Twitter giveaway. 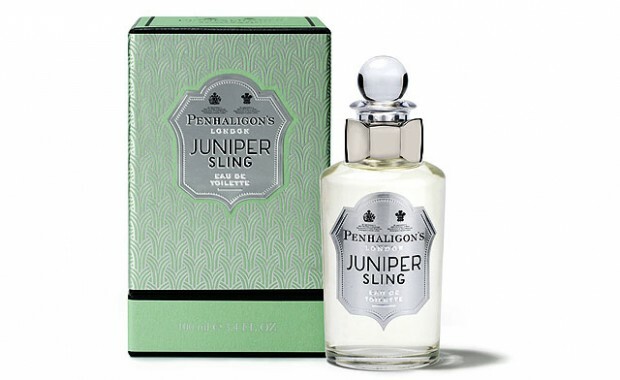 We received a high number of entries for the rather wonderful prize of a bottle of Penhaligon’s rather spiffy gin inspired Juniper Sling. Well, the entries have been gathered together and the winner has been selected entirely at random using random.org. I can now reveal that the very lucky winner of the much coveted prize is…..
Those of you with good memories will remember that a while back both Persolaise and I announced that we would hold a competition for a 50ml bottle of Juniper Sling, generously donated by Penhaligon’s, as soon as we both hit 1,000 Twitter followers. The good news is that we have both hit the marvellous 1K mark and that means we are now able to hold the draw! I’m not a gin drinker, actually scrap that. I wasn’t a gin drinker, but on Tuesday I was coerced (there really wasn’t much coercing going on) into drinking a number of gin cocktails at the bloggers launch for Penhaligon’s new fragrance Juniper Sling. This experience has taught me three things; firstly, Penhaligon’s know how to throw a party, secondly, their gin cocktails are unrivalled and thirdly, gin and fragrance go very well together. Juniper Sling was created by master perfumer Olivier Cresp (the man that brought Angel into the world) and it is described by Penhaligon’s as “a playful, chilled and mysterious homage to the Bright Young Things of London’s roaring twenties.” Now this may give you the impression that Juniper Sling may be slightly old-fashioned, but this is absolutely not the case, Penhaligon’s have created a modern twist on a classic theme, just look at the bottle with it’s metal bow, a purely modern take on their usual flacon.